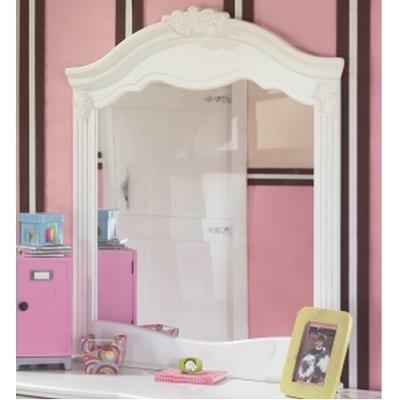 With the exquisite beauty of formal French style brought to life within a country motif, the Exquisite Dresser is sure to create a sense of magic and wonder to any child's bedroom. 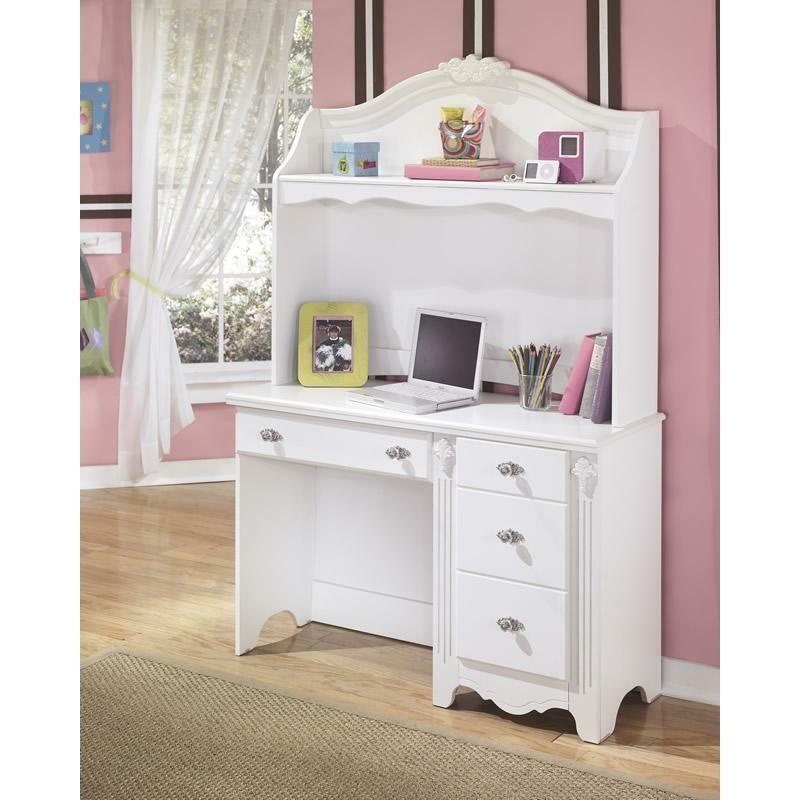 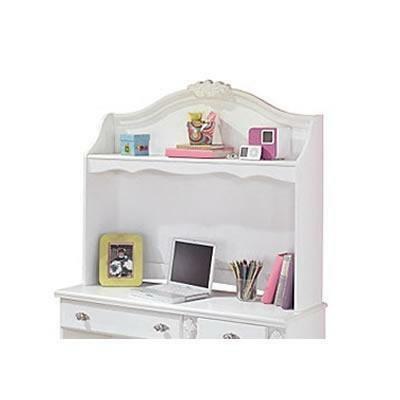 With a luminous white finish flowing smoothly over the decorative embossing and beautifully turned detailing, this furniture is perfectly designed for any little girl's room. 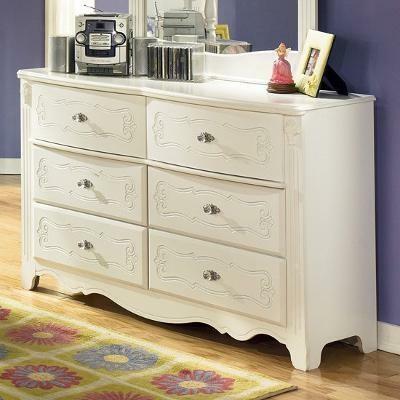 The satin nickel color hardware and stylish appliqués and rosettes adorn this furniture with a traditional beauty. 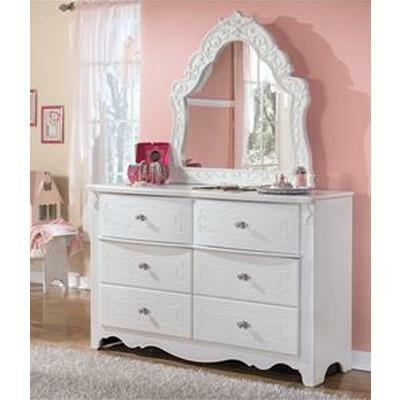 Create the fairy tale bedroom for your child with the elegant design of the Exquisite Dresser. 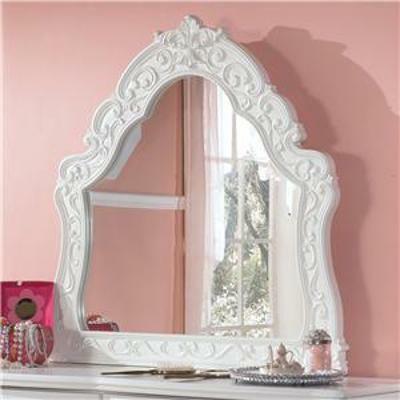 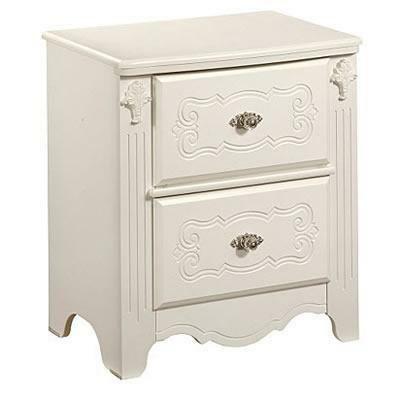 Can be paired with matching Dresser Mirror or the French Style Dresser Mirror. 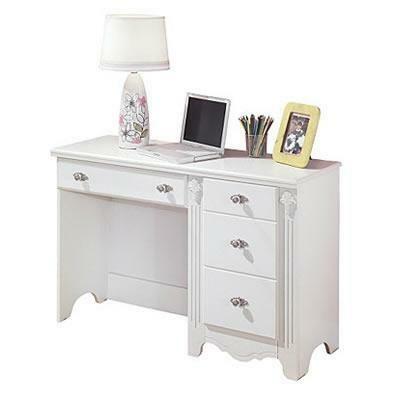 Additional Information The drawers are framed with a decorative emboss. 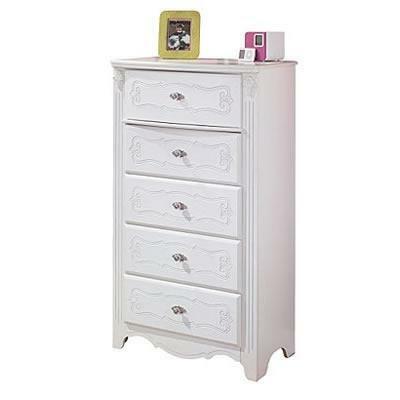 The hardware is a satin nickel color and acrylic accentuated with detail. 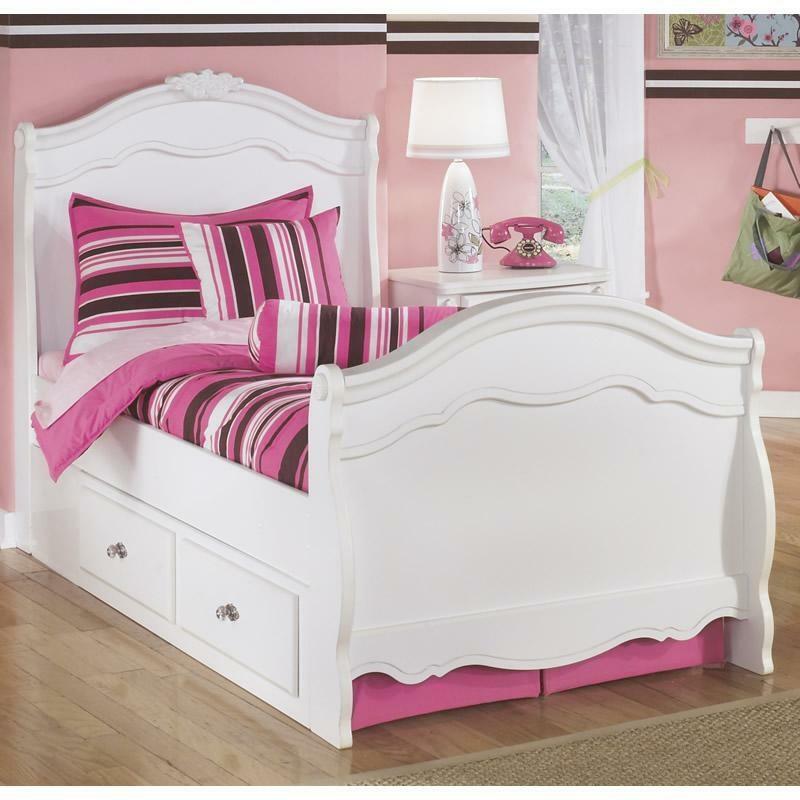 Ample shape can be found throughout in the valances, crowns, base strips and more; Appliqués and rosettes provide additional detail.